Note: These prices may not hold after the group contract ends on 120 out. If you book everything will have to be a call back to let you know if we can get you in. We more than likely can get you into the room type you want up until around 60 days out. Note the May trip sold out at 70 days out! 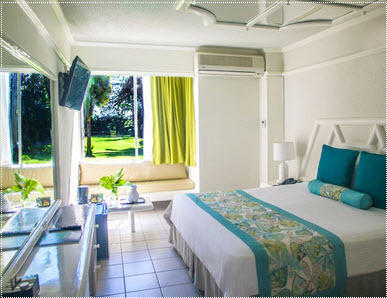 The standard rooms have all been romodeled and are available with a garden or ocean view and are located on both sides of the resort. 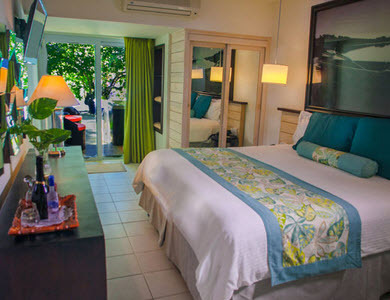 There are new Bathrooms in every room with glass door to the bath as well as the bath tub, Some select ocean view rooms are available with a private outdoor jacuzzi and come with a complementary stocked refrigerator. 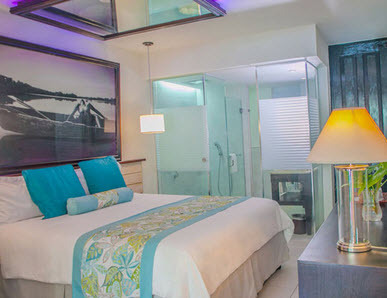 The Premium Suites have been completely renovated with new furnishings and expanded with fully glass-enclosed bathroom featuring dual sinksand deluxe toiletries, modern ceiling mirror and mood lighting. 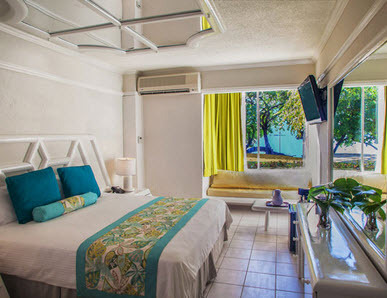 Select rooms have a private outdoor balcony or patio and some also include an outdoor Jacuzzi tub. Club MoBay VIP Arrival Service and Departure Lounge at Montego Bay Airport - includes VIP immigration and security line access. 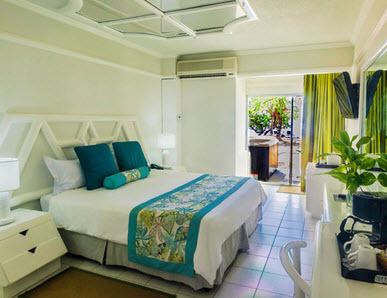 *Club MoBay MUST BE reserved at least 48 hours before arrival. Arrival: We recomend this as it could save you an hour or more in line at immigration. Club Mobay Attendants meet you at your flight and personally walk you right by the long lines. Also they walk you through customs. They bring you to a lounge where you wait on your bus. At the arrival lounge they have limited drinks here (Rum Punch and Red Stripe only), but have some snacks available to eat before you get on the bus. Departure: On the way out it's just a nice area to sit an chat with friends has a full bar and heavy hour-devours to snack on before you get on the plane. Departure Date (just making sure the dates and nights stay match). If there are any questions you will get a call before we send an invoice for you to pay. We always do our best to address your requests and have usually been very successful in the past working with most resorts. 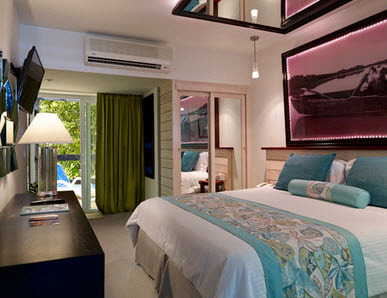 Understand specific room requests are much harder to acquire than just a certain room type. We cannot guarantee to honor any request. Booking Modifications All changes required for Internet bookings must be made directly with reservations at (877) 216-8820 toll free. Please read and review all terms in the agreement section along with the invoice confirmation and conditions applicable to the reservation. Deposit Requirements Booked Within 60 Days Prior to Arrival: Payment in full is required within 24 hours. Any booking without full payment within 24 hours will be cancelled on the following business day. Non-refundable deposit required at time of booking. Pricing Policy We strive to offer the most accurate rates and information available. We do reserve the right to correct any errors. We will contact you within two to three business days to review and reconcile any erroneous information. This policy supersedes any guarantees or confirmations given. I/We have read and understand the above terms and conditions listed on the web site. We understand we will need passports for this travel. As of December 31, 2005: Passport required for all air and sea travel outside the USA. .(Additional information can be found on the US Department of State website for passport information) and that refunds will not be given if passports do not arrive in time for our trip. Standard cancellation clause will apply.